Descent into the Fungal is a two-channel video and a sculptural installation. The mushroom / sculptural element is site-specific and is grown from readymade mushroom blocks sold by mushroom farmers. 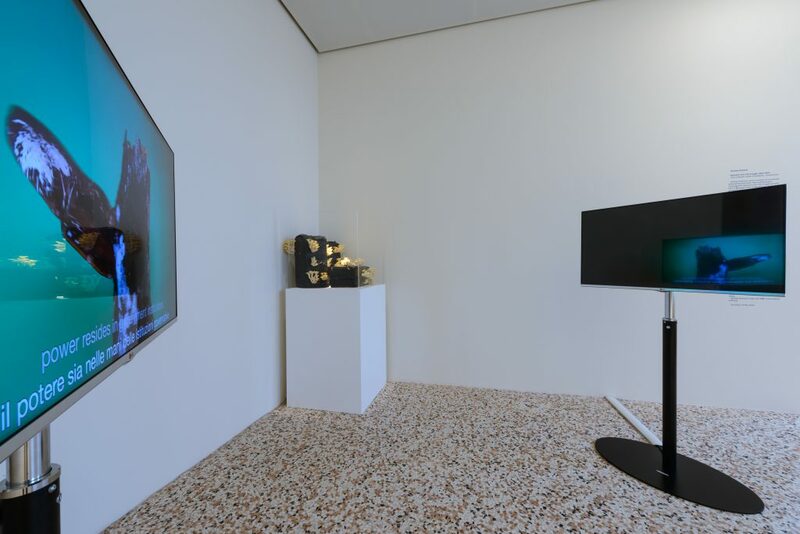 They are given two weeks to mature and follow their natural cycle, bringing the natural element directly into the white cube.One video channel is situated within a scientific method of thinking— the artist thinks about issues of symbiosis and the ways in which fungal networks are intertwined with their surroundings. 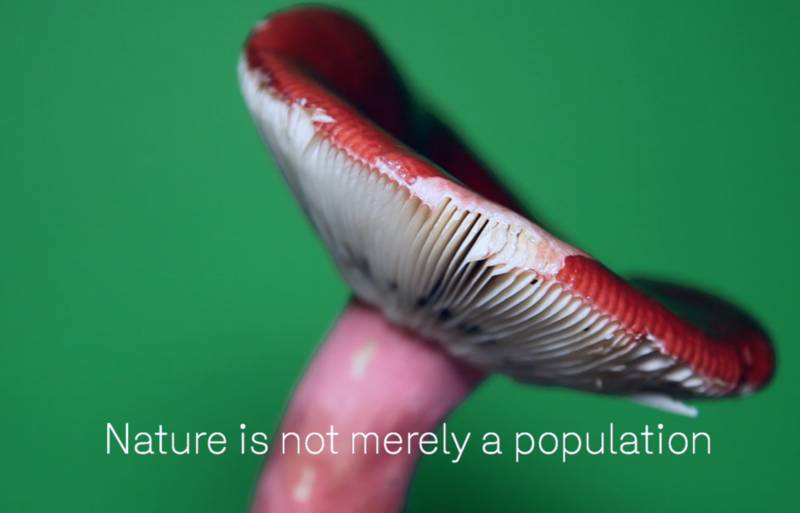 Here, the natural becomes the digital and vice-versa.The other video is from the perspective of the mushroom— it has its own language, albeit compressed and digitized in nature. 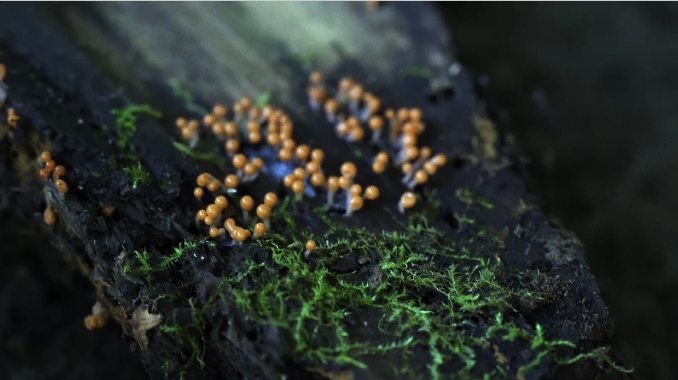 The video presents fungi as a conscious being, giving personality and human-like behaviour to it. Presented on a green-screen background void of any surroundings, this channel contrasts with the documentary side and shows the fungus as its own sentient self. The two channels are displayed facing each other, leaving the viewer situated between the ‘scientific’ and the ‘mushroom speak’. Andrey Shental is an independent artist, theorist, cultural critic, and curator based in Moscow. He is a member of the board of experts of Moscow Biennale for Young Art, and has previously worked as senior editor at Theory and Practice (2013-2015) and Moscow Art Magazine (2015-2017). Currently he is working as a foreign correspondent at Flash Art International and invited curator of educational programmes at CCA Winzavod. In his films, video essays and presentations, he investigates the forms of production of knowledge, circulation of internet images, and the relationships between the digital and the natural.